CONGRATULATIONS to Archbishop Peter Smith of Cardiff who has today been appointed as the next Archbishop of Southwark. He succeeds Archbishop Emeritus Kevin McDonald of Southwark, who resigned from the post in 2009. “I am very much looking forward to that and to serving the people, religious, deacons and priests of the Archdiocese of Southwark as their Bishop. It is good to be returning home, although I feel there is part of me which will always have a second home in Wales,” Archbishop Smith said. HERE at Cross Wires we are delighted that the Vatican has approved and is ready to release a new English translation of the Mass, its associated prayers and texts—the most sweeping changes to Catholic worship since the Second Vatican Council of the 1960s. The Scottish Catholic Observer can exclusively reveal that it is this new translation of the Roman Missal that renowned Scottish composer James MacMillan is now setting to music for the Papal visit. 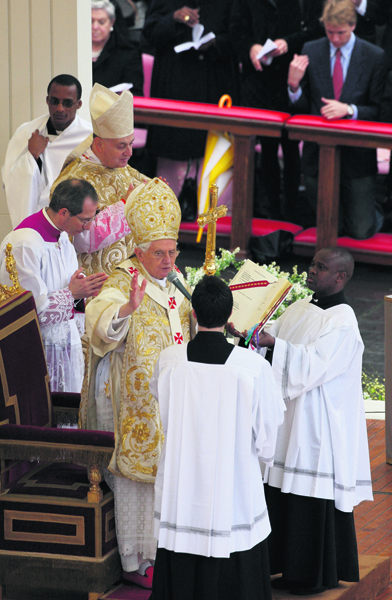 His arrangement will be used when Pope Benedict XVI celebrates Mass at Bellahouston on September 16, an exciting first for Scotland, and again when the Holy Father beatifies Cardinal John Henry Newman later in his visit. (See this week’s edition of the newspaper for more details). The last update of the Roman Missal was approved by Pope John Paul II in 2000 and the International Commission for English in the Liturgy (ICEL), made up of bishops from the English-speaking world including Bishop Joseph Toal of Argyll and the Isles, has been working on the translation. Where do the parties stand on the asylum issue? A NATIONAL service to help those suffering from post abortion trauma was launched in Glasgow today, 42 years to the day after the Abortion Act came into affect in Britain. 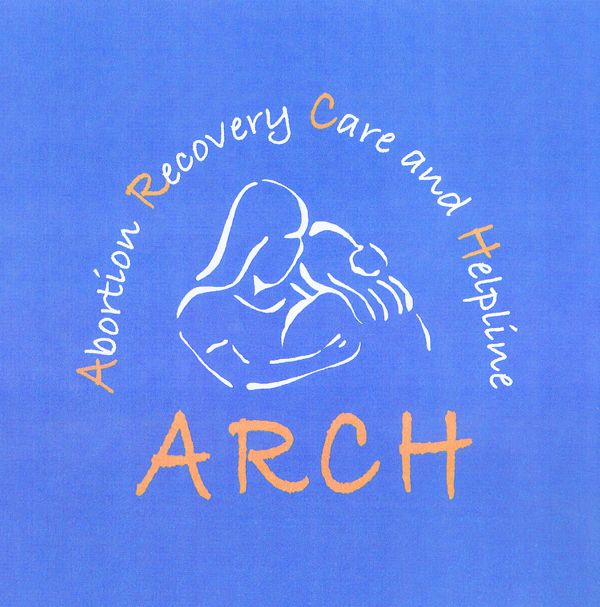 Abortion Recovery Care and Helpline (ARCH) was unveiled to the public at the Trade Halls in Glasgow a week before the General Election. The free and confidential service aims to provide care and counselling to women, and men, who are struggling with the aftermath of abortion. The ARCH service will consolidate and build on existing work in the sector. Organisers now hope to offer support to more people as post abortion trauma (PAT) becomes an increasingly recognised problem in the UK. At the launch—which was attended by a broad spectrum of supporters including leading pro-life figures and local school children— Margaret Cuthill, a PAT counsellor working with ARCH who has had an abortion experience herself, gave a powerful and moving account of why the service is required. “For every woman who has an abortion it is believed that 40 to 50 people in her life are affected by the damage she suffers,” Ms Cuthill said. 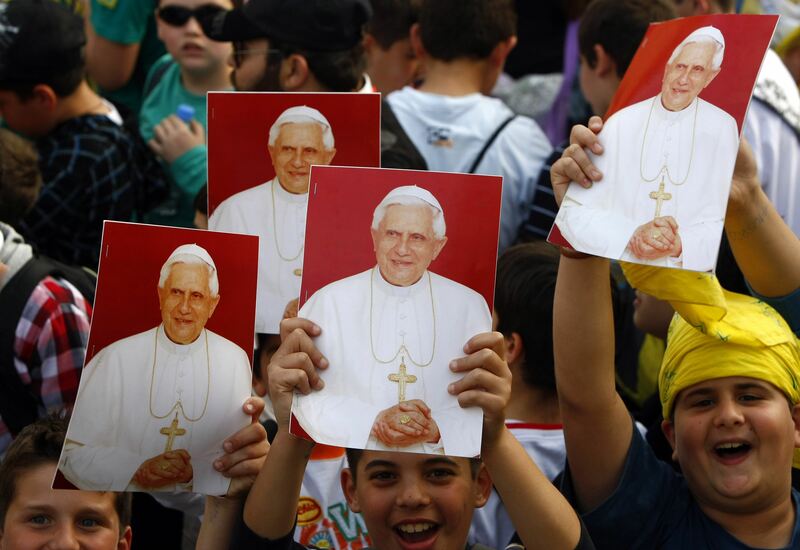 CATHOLIC school pupils in Scotland still have time to come up with their own innovative designs to mark Pope Benedict XVI’s upcoming visit to the UK in September. The logo competition, organised by the Bishops Conferences of Scotland and England and Wales, is open to students between the ages of S3 to S6 in Scotland or in KS4 in England and Wales. The logo can reflect the theme of the UK Papal Visit: ‘Heart speaks unto Heart’ the motto of Cardinal John Henry Newman whose beatification will be celebrated during the Papal visit. Other possible themes for the logo can be seen at the website www.thepapalvisit.org.uk. The closing dates for submissions (which must be in electronic form) has been extended to 5pm on April 30 and entries are still being accepted. Entries can be sent to the address: amatus@cesew.org.uk. WITH so much time, effort and energy going into planning the Papal Visit by both the Church and the Government, the offensive leaked Foreign Office document on how the trip could be made most memorable is indeed an unfortunate and extremely ill-timed gaffe. Brainstorming suggestions-sent to Downing Street and three Whitehall departments – include the launch of “Benedict” condoms to coincide with the Papal visit to Britain. The memo also proposed that Pope Benedict XVI should sponsor a network of AIDS clinics, conduct a training course for bishops on child abuse allegations and stay in a council flat while here. It also suggested getting the Pope and Queen Elizabeth II to sing a duet for charity. It seems to be the result of inexperience junior civil servants in a poor attempt at humour. While it may not have been intended to cause offence, it is goes beyond disrespect to stupidity. Hopefully, however, lessons have been learned from this and we can all move on in eager anticipation of the arrival of Pope Benedict in Scotland on September 16. Francis Campbell, Britain’s ambassador to the Holy See, has apologised in person to his Vatican counterpart. The Vatican appears to be taking the issue seriously but the incident will have ‘absolutely’ no impact on the Pope’s visit in September, according to Vatican spokesman Fr Federico Lombardi. Just how much damage has been done to British-Vatican relations remains to be seen. Cardinal Renato Martino, the former head of the Vatican’s Pontifical Council for Justice and Peace, said: “The British government has invited the Pope as its guest and he should be treated with respect. Cross Wires here at the Scottish Catholic Observer is thoroughly disgusted by the whole incident. 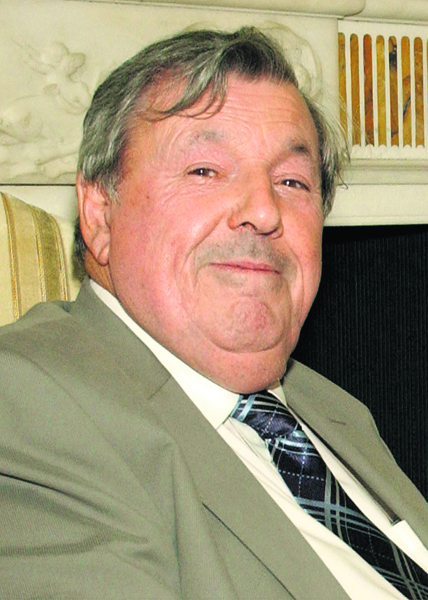 STAFF at the Scottish Catholic Observer are saddened to hear of the death of former editor Harry Conroy on Saturday. Mr Conry, 67, who edited the SCO until 2007, was a former general secretary of the National Union of Journalists and a top crime reporter in addition to being a leading Catholic commentator. A Glaswegian who honed his skills at the Daily Express and the Daily Record newspapers, Mr Conroy inspired and cajoled a generation of reporters and sub editors to keep standards high in journalism. ‘Harry’s boys’ (and ‘girls’) have lost a mentor. He was also a family man and the SCO staff offer our condolences to his wife Margaret, his daughter Lynn, sons Ewan and Stuart and his seven grandchildren, Kaitlin, Daniel, Jenna, Lewis,Paige, Niamh and Emma. Mr Conroy’s funeral Mass will be celebrated on Friday at 10am at St Bride’s Church, Cambuslang. He will be buried at Rutherglen cemetery, Mill Street, at 11.30am. Pious in the Sky debate? WHAT is troubling about last night’s Sky leaders’ debate is the ‘difficult’ Catholic question halfway through proceedings. When asked about Pope Benedict XVI’s visit to Britain, beginning in Scotland on September 16, all three leaders criticised the Catholic Church’s handling of child abuse cases while trying not to offend millions of Catholic voters. Cross Wires has to single out Lib Dem leader Nick Clegg in particular for his weak answer. Stating he was ‘not a man of faith’, he said that his wife is a Catholic and his children are brought up in the religion before adding that Catholics have ‘immense feelings of anguish’ about the church’s lack of openness. What is most troubling, however, is that while clerical abuse is a serious problem requiring action within the Church it shouldn’t be, and isn’t, the top Catholic pre-election concern overshadowing all others. Perhaps the leaders would like to try pro-life issues, global poverty, Catholic education, attacks on family life, Christian vales or Trident on for size? NEWS that the leaders of the main political parties have banned their candidates from signing the Westminster 2010 Declaration is appalling but not surprising. Cardinal Keith O’Brien was one of the 30 leading religious figures to draw up the document which aims to keep Christian values at the heart of the General Election. Organisers of the declaration have described the move by political parties as a ‘shocking interference on matters of individual conscience’. The news comes on the same day as the bishops of Scotland have asked Catholics to make their Faith count at the ballot box. “I hope Catholic voters will make the cross count by quizzing their candidates on the important moral matters which affect us and that they use the resources which the Bishops’ Conference has provided to inform themselves on as wide a range of issues as possible,” Cardinal O’Brien said. You are currently browsing the Cross Wires blog archives for April, 2010.